With three days left in my trip through China, I left Beijing for Shanghai. 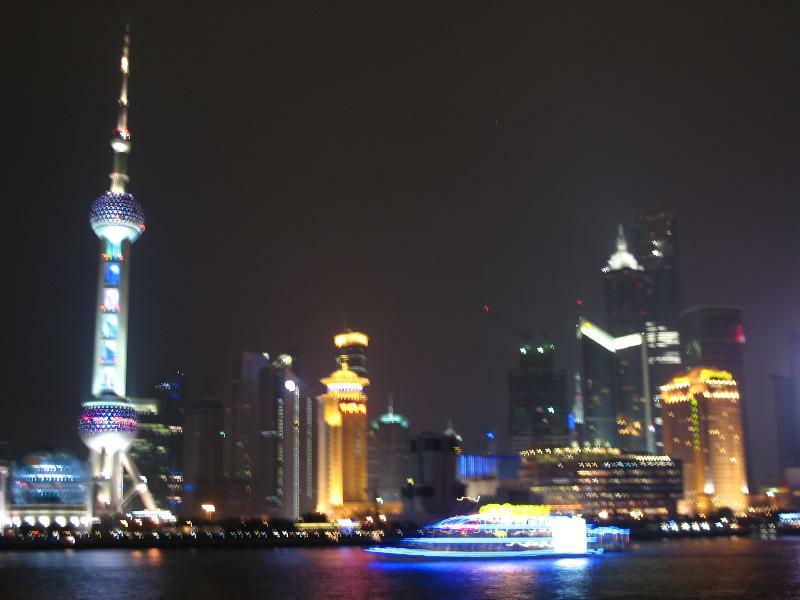 Shanghai, located near the mouth of the Yangtze River, is a metropolis of over 18 million people and has been the economic center of mainland China since the 19th century. I had wanted to take an overnight train to Shanghai like I did from Xi’an to Beijing, but tickets were sold out. The reason, as I discovered later, was that my date of arrival was Tomb Sweeping Day, an old holiday that just last year became a national holiday in the PRC. 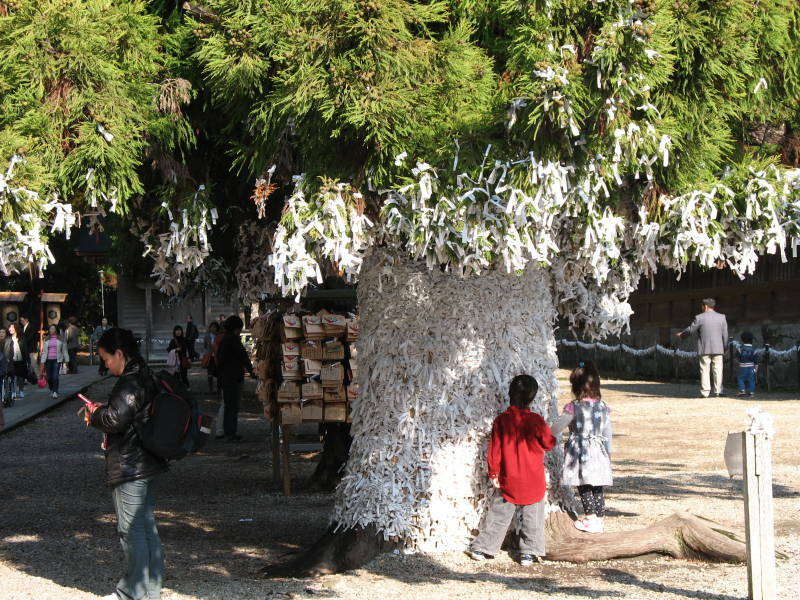 On Tomb Sweeping Day, 15 days before the spring equinox, families gather and pay their respects at their ancestors’ graves. 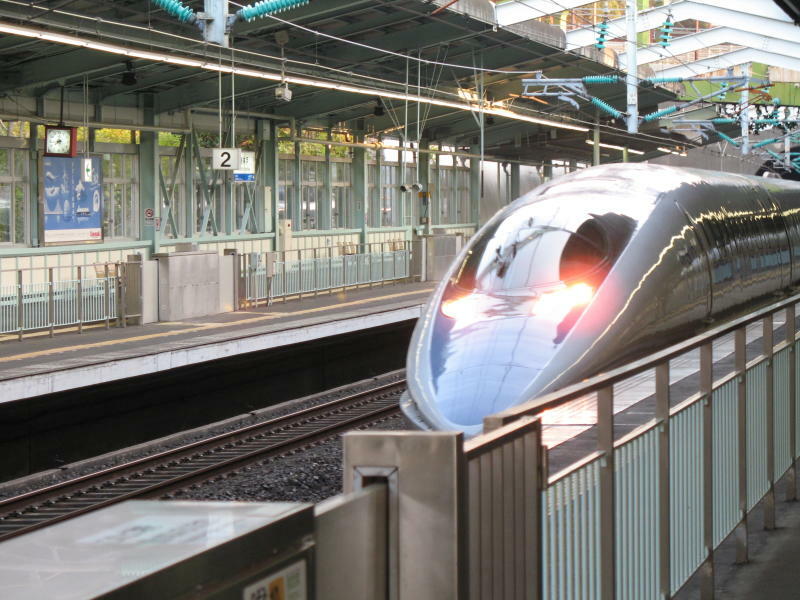 Thus, millions of people were traveling to visit family, and the trains were full. 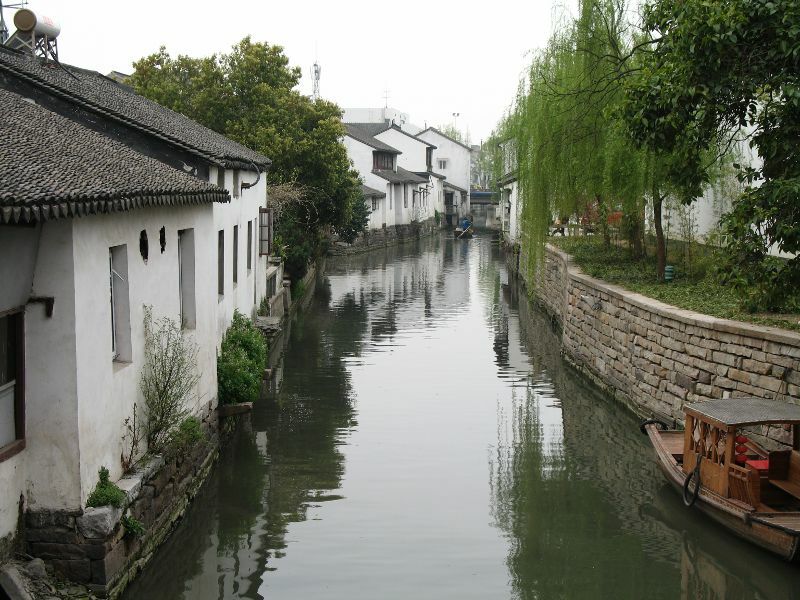 Fortunately, I was able to stay an extra night at my hotel in Beijing and buy a plane ticket to Shanghai for the next morning. This change in plans shortened my time in Shanghai, but the city only has a few attractions other than the city itself, so losing the morning wasn’t terrible. 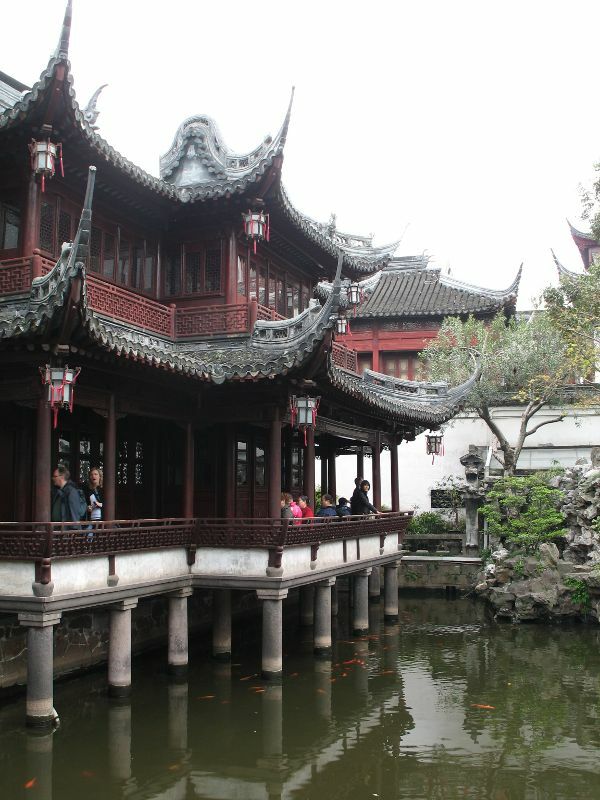 I spent my first and only afternoon in Shanghai at Yuyuan (“Yu Garden”). 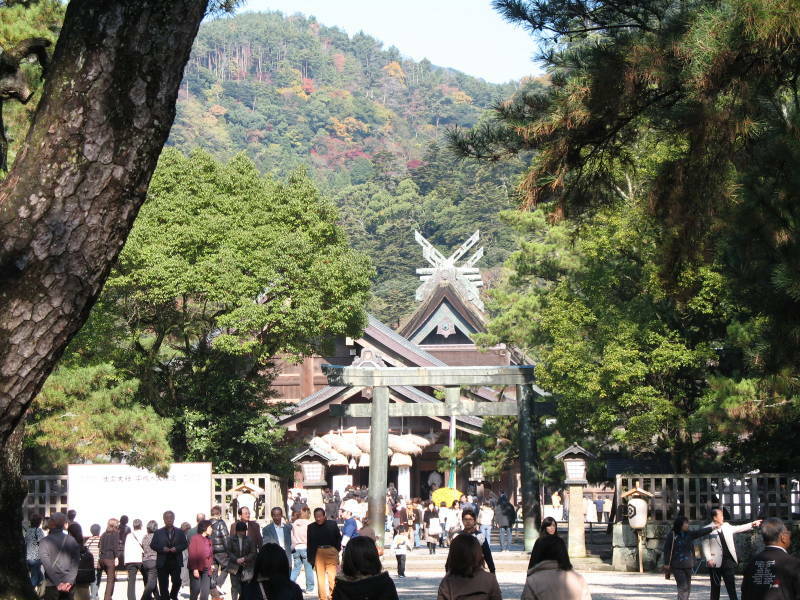 This an inner gate, not the main entrance, by the way. 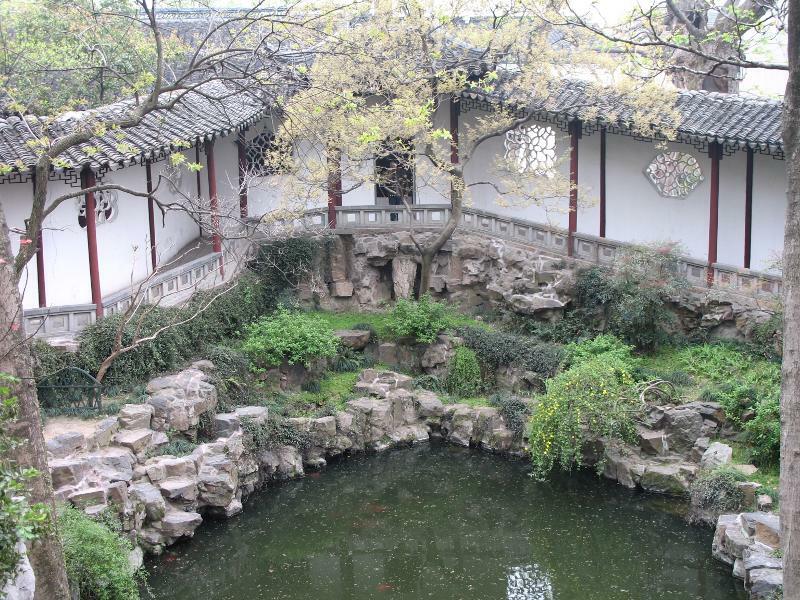 The wealthy son of a high-ranking Ming official built Yuyuan in 1559 as a private garden to please his aging father. 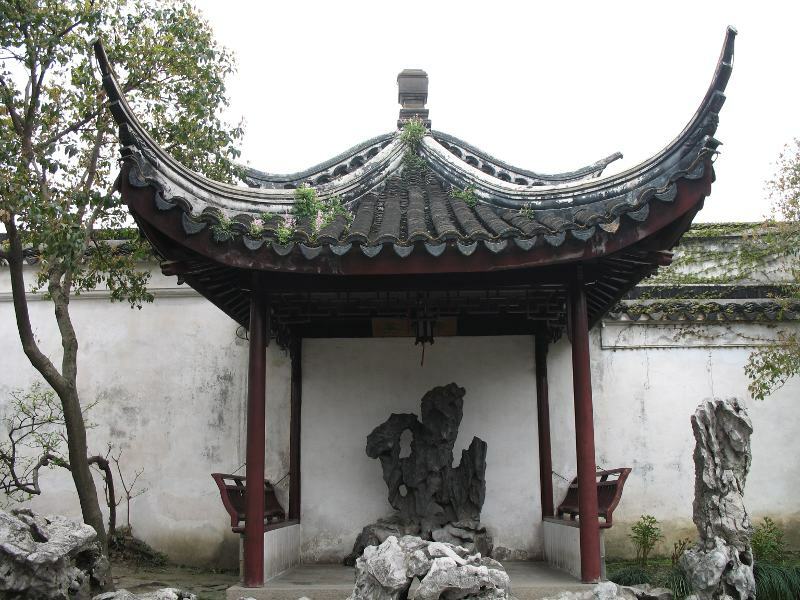 Over the following centuries the garden changed hands many times, fell in and out of disrepair, was occupied by various armies, and even spent several years during the Boxer Rebellion as the headquarters of the Small Swords Society, a separate rebel group that seized control of Shanghai. 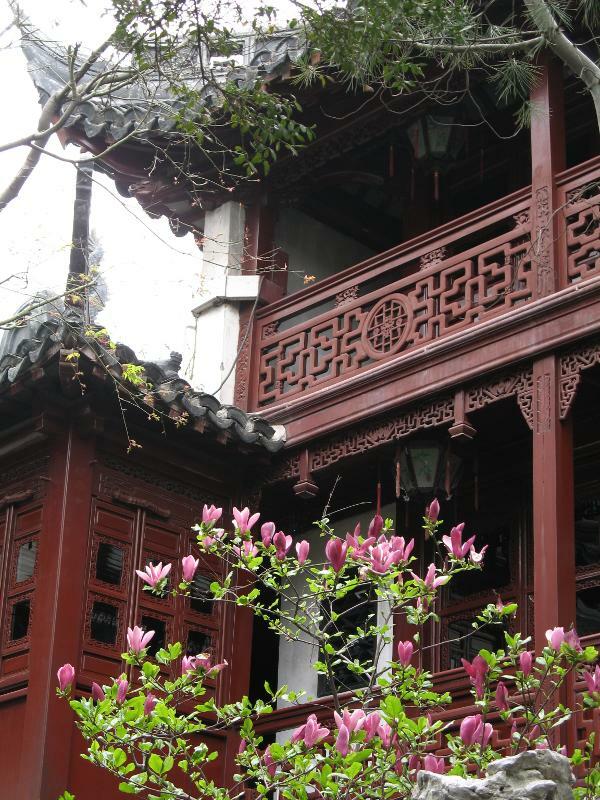 Yuyuan is now a national monument, owned by the Shanghai government. Alas, since I had unwittingly chosen to visit Yuyuan on a national holiday, the place was packed. Working around the crowds and trying to take pictures over people’s heads, I couldn’t manage any decent photos, but here’s some of what I ended up with. I really wanted to take this from a better angle – it would have been a great shot with the tree to the left and the wall in full view – but I eventually gave up on fighting the crowd and moved on. It was driving me crazy though. In general, I try to enjoy the places I visit and just take some pictures along the way, rather than putting photography first, but it’s frustrating when a great scene is right there and you can’t capture it. Oh well. 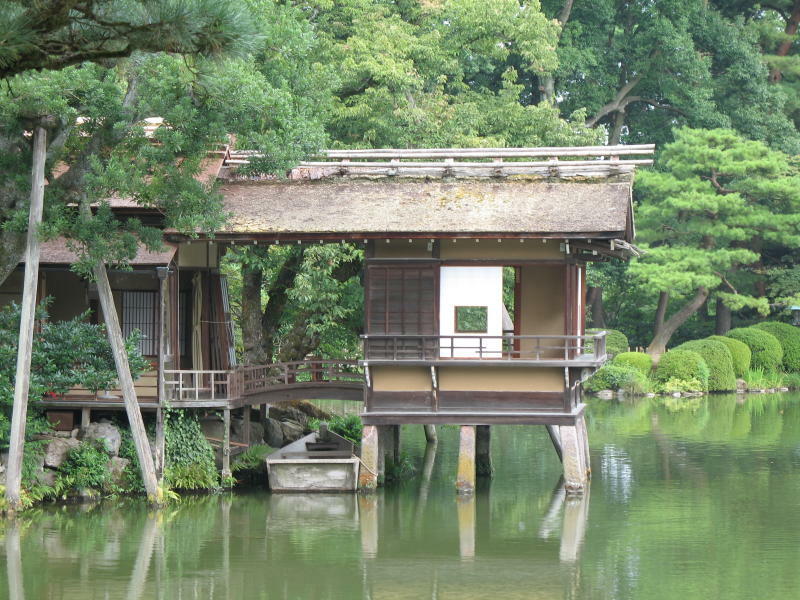 A handsome building next to a carp pond. 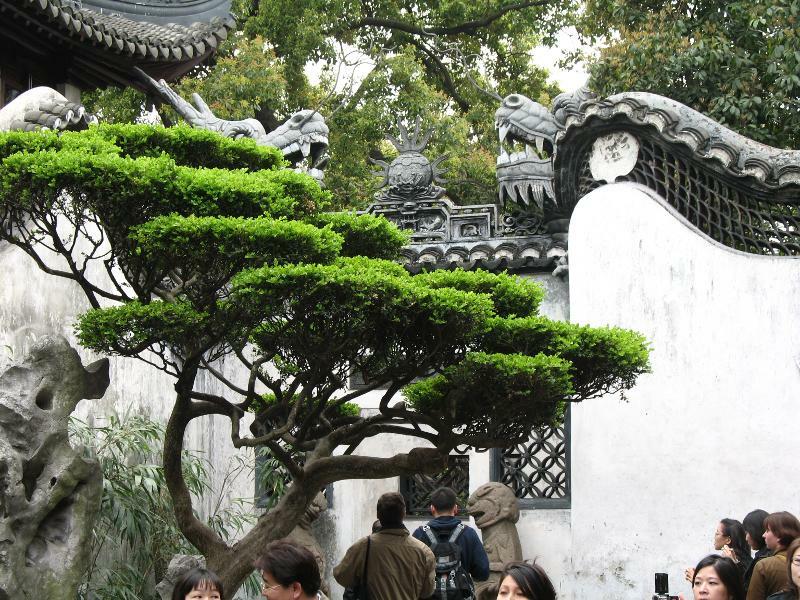 Like most classical Chinese gardens, Yuyuan is actually an intricately landscaped residence (well, former residence now), as opposed to being strictly a garden. 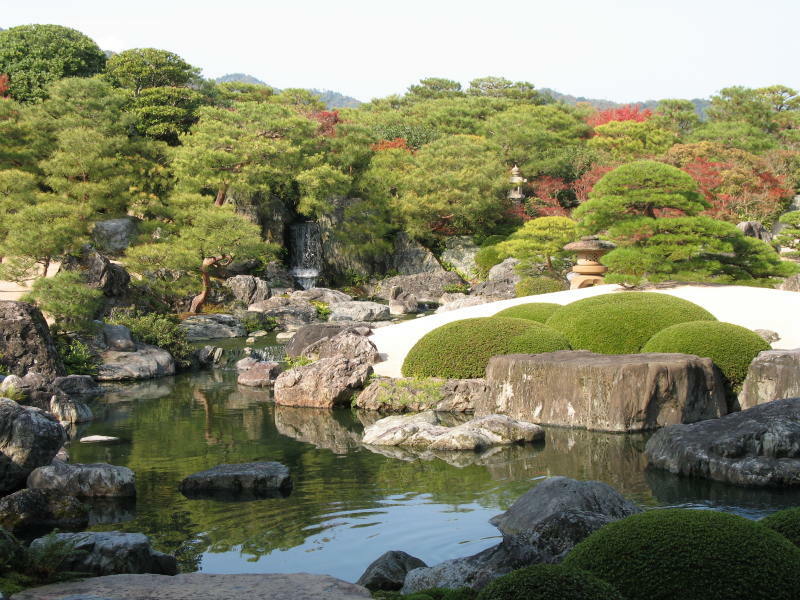 Also in keeping with the traditional style, it has more rocks and water than plants. 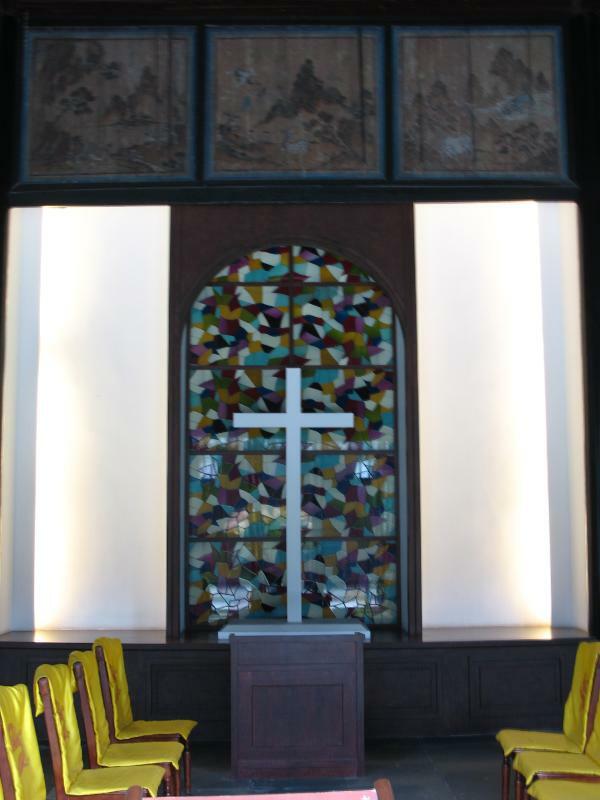 The inside of another building. The stone around it was scraped up. Signs of an attempt to pry it out, perhaps? I’m sure the garden has been looted several times in its history, so it’s certainly possible. There weren’t many in the garden, even considering that spring was just beginning. 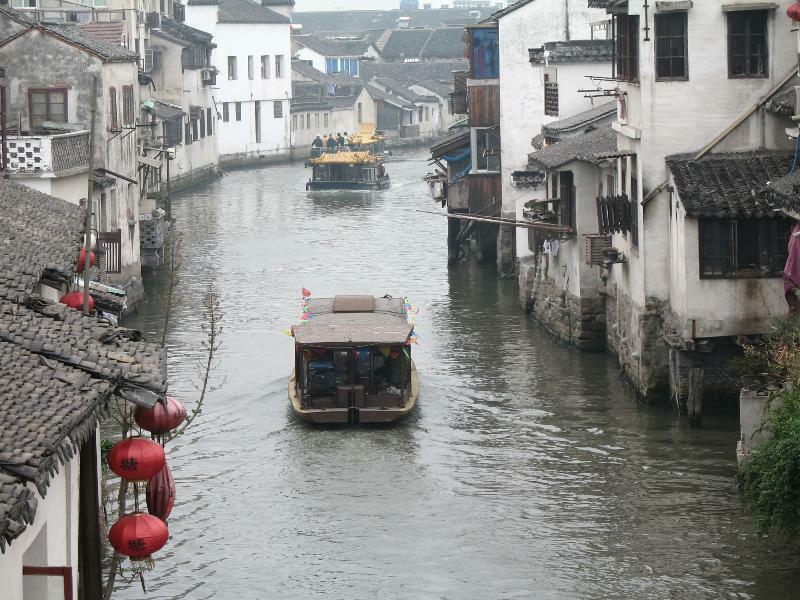 Still, Yuyuan was beautiful. 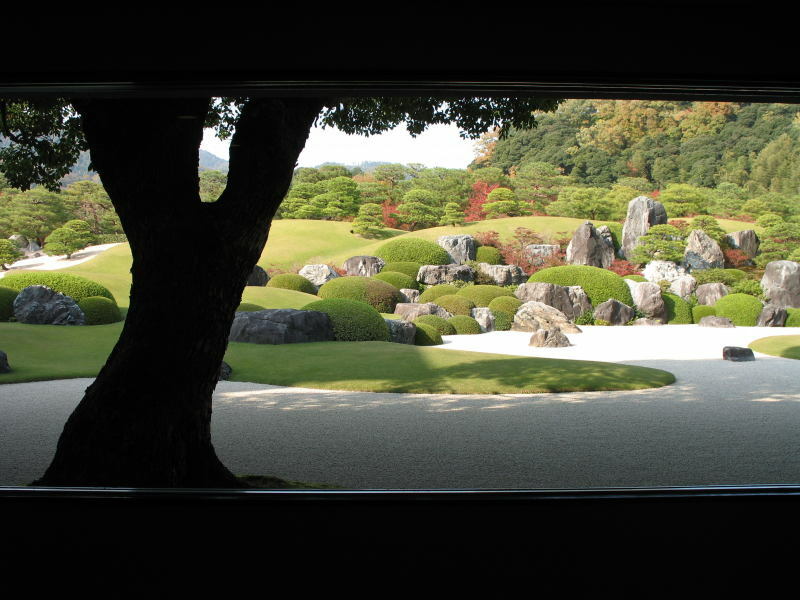 After seeing the garden, I wandered around the city. 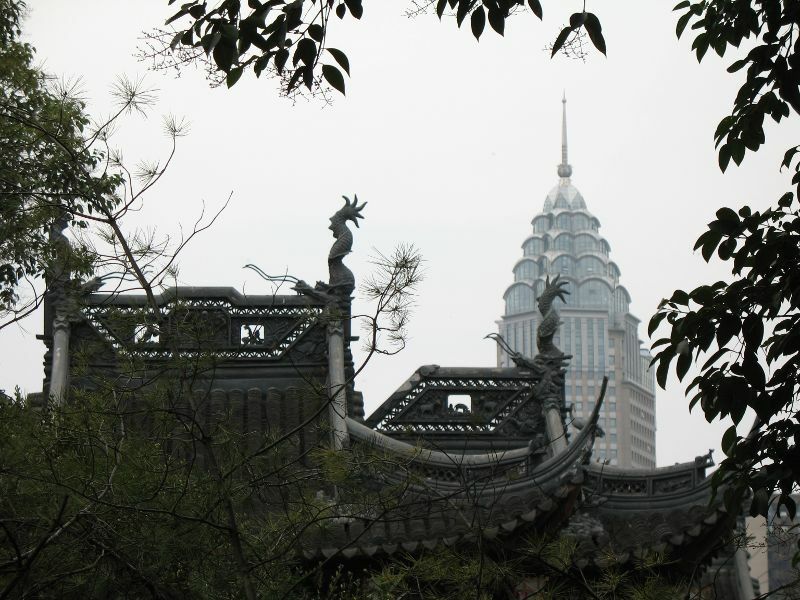 Not far from the garden is the Bund, Shanghai’s old financial center. 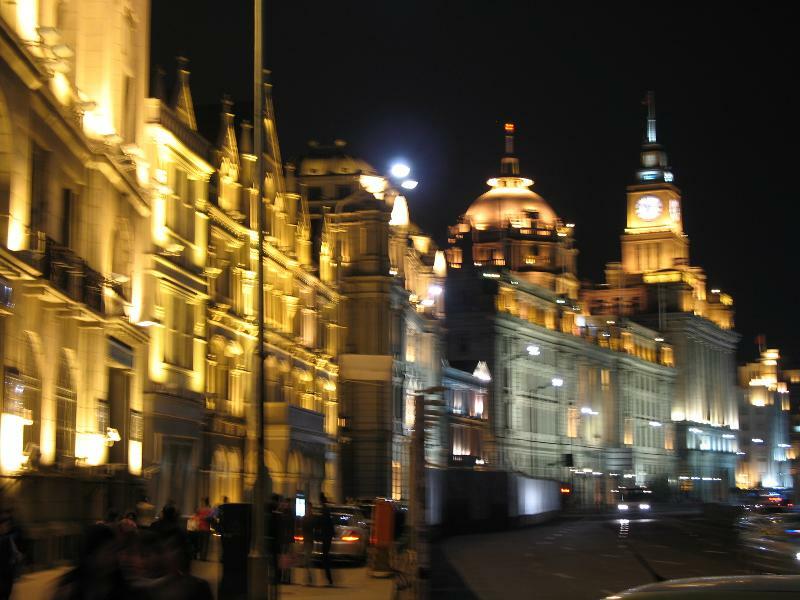 The Bund has a lot of neat buildings dating from the early 20th century. On the other side of the river is Pudong, the new financial district. I had dinner on the Bund, at a British/American-style bar and grill in the basement of the old Nissin building (Nissin was a Japanese shipping company). There was nothing historic or special about the restaurant, but it felt fitting. 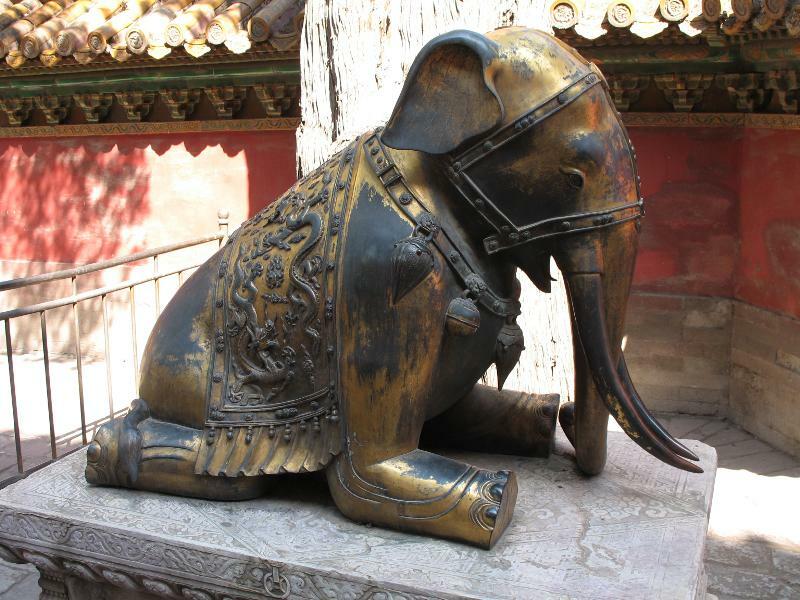 In my third and final day in Beijing, I visited the Forbidden City. I had intended to see some other places too, but the palace isn’t called a city for nothing, and in the end I spent most of the day there. 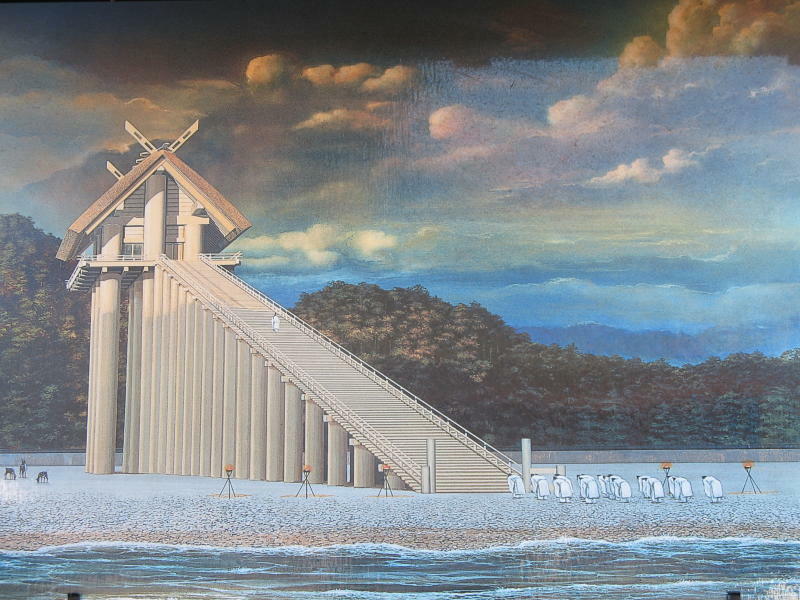 This picture from Wikipedia, gives a feel for the size of the complex (nearly 180 acres). 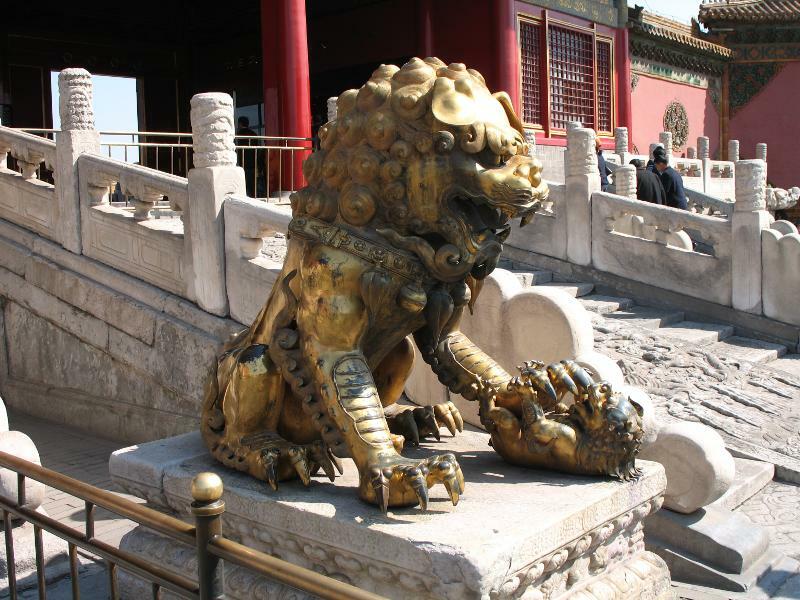 The Forbidden City was built in the early 15th century and was the imperial palace for 14 emperors of the Ming dynasty and all 10 emperors of the Qing dynasty. The last emperor abdicated in 1912, but continued living in the Inner Court until he was kicked out in 1924. 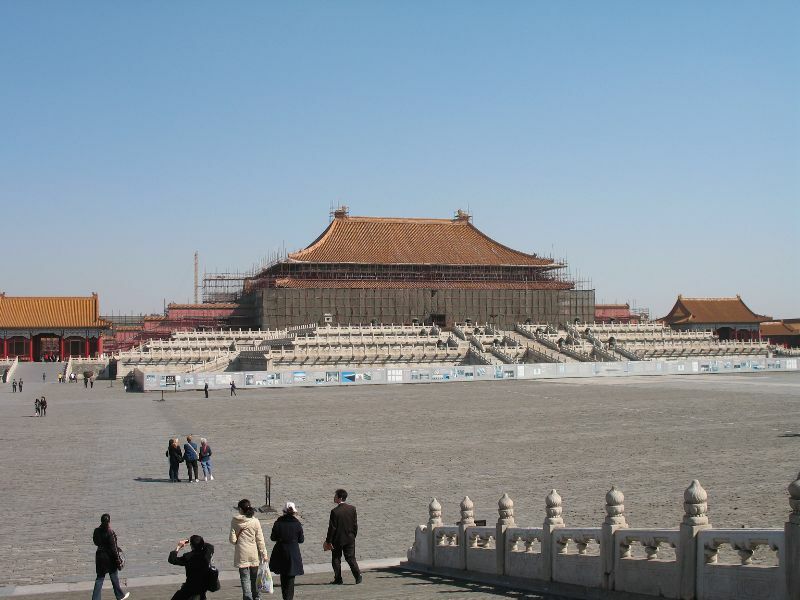 The Forbidden City was then renamed the Palace Museum (the website doesn’t display properly in Firefox, fyi). 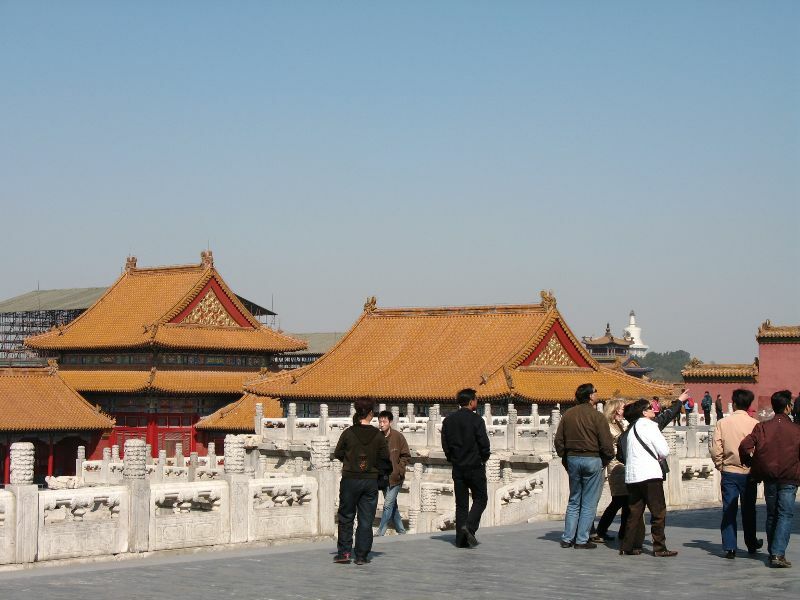 The Forbidden City is directly north of Tiananmen Square. The symbolism of Mao’s portrait at the gate to the former seat of power in China doesn’t need any explanation. 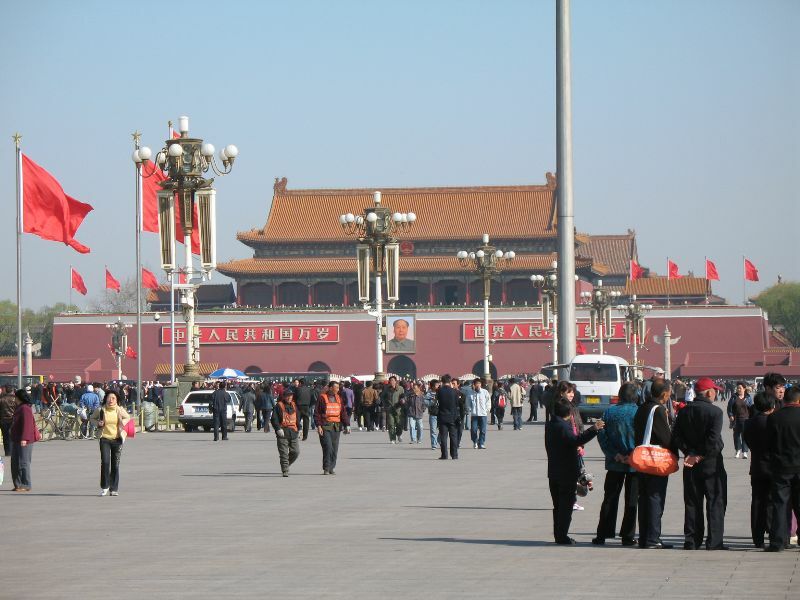 Past Tiananmen (“Gate of Heavenly Peace”) is a large courtyard for reviewing troops. It still serves that purpose, and a couple hundred soldiers were being reviewed when I passed through. I wasn’t sure if photos would be allowed, so I didn’t take any, deciding to play it safe and not risk losing my camera or memory card. 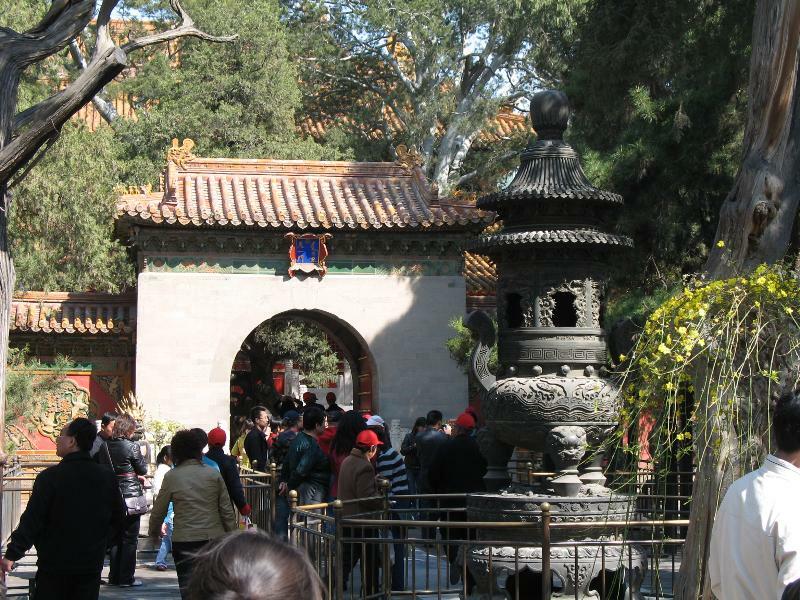 At the north end of the courtyard is the Meridian Gate, the main entrance to the Forbidden City. The English name, Meridian Gate, confused me for a while. 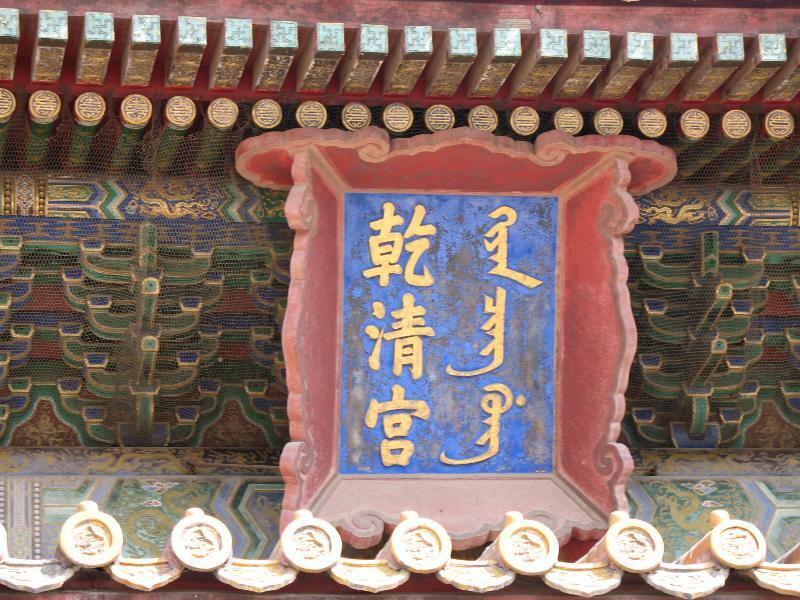 The name plate on the gate says 午門, in which the first character is the horse sign of the zodiac (just plain “horse” is written 馬) and the second character means gate. A meridian, meanwhile, is a circle passing through the Earth’s poles, or a pathway of qi/chi in acupuncture, or, in some US dialects, a median strip in a road. Then I remembered that the horse sign also means noon. 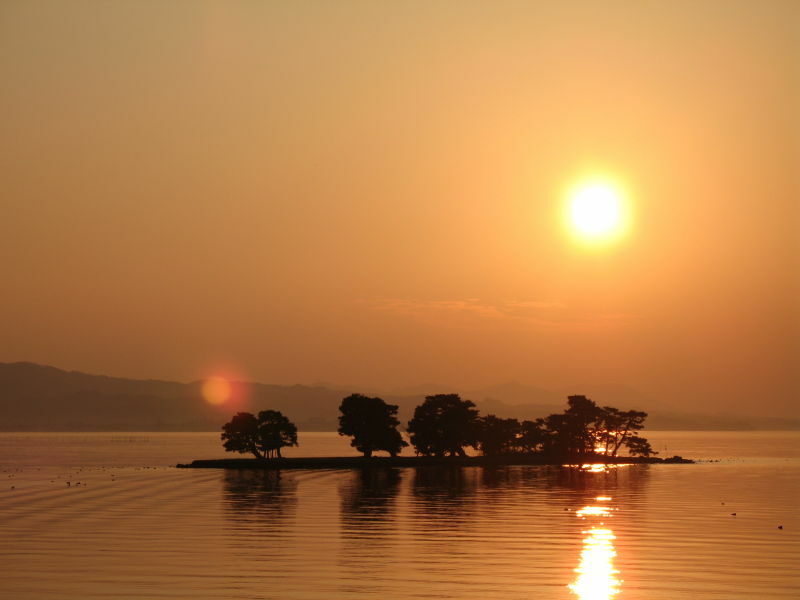 In Japanese, “noon” is usually written with another character entirely, but am and pm are “before 午” and “after 午.” And in astronomy, a meridian is a circle that not only passes through the Earth’s poles, but also passes through the observer’s zenith, and noon of course is when the sun is at it’s zenith. Indeed, if I were better read, I’d have known that meridian used to be commonly used to mean zenith, especially in the figurative sense. Checking a dictionary later made things clear cut: The word meridian originally meant noon. 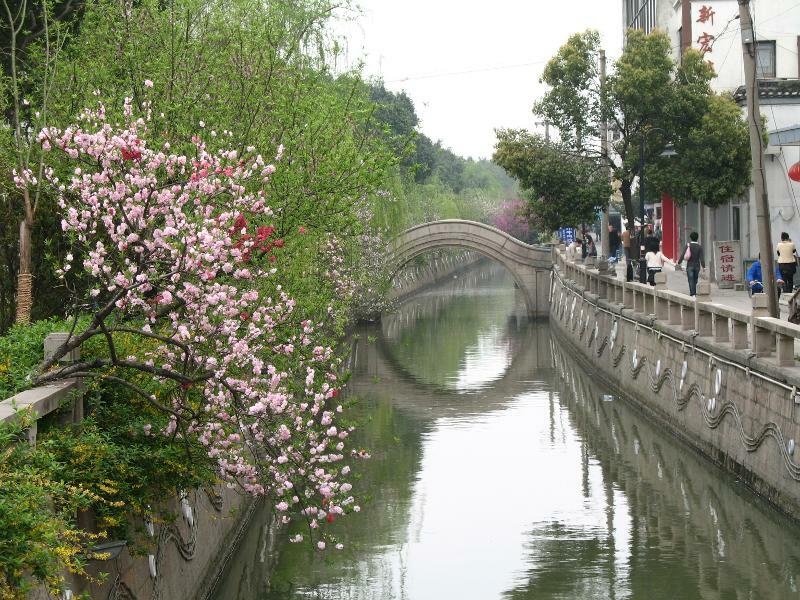 So now “午門 = Meridian Gate” makes sense, but why is it called that in the first place? Fortunately, that’s easily explained. In addition to being associated with noon, the horse sign of the zodiac is also associated with the southern direction, and this is the southern gate. Beyond the Meridian Gate is another vast courtyard. An artificial stream runs through it, probably for reasons of feng shui. 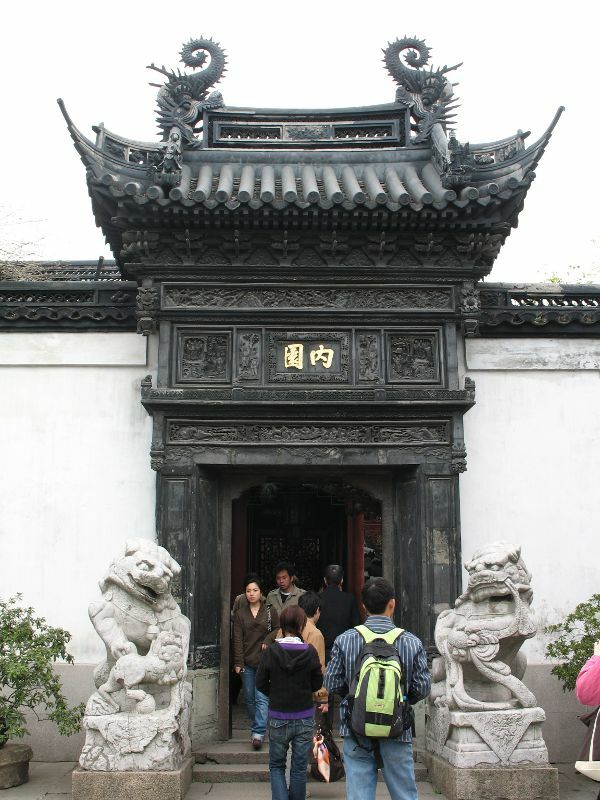 At the north end of the courtyard is the Gate of Supreme Harmony. The emperors sure liked grandiose names, eh? This is the northwest corner of the courtyard, with bridges and one of the small gates that flank the big one. 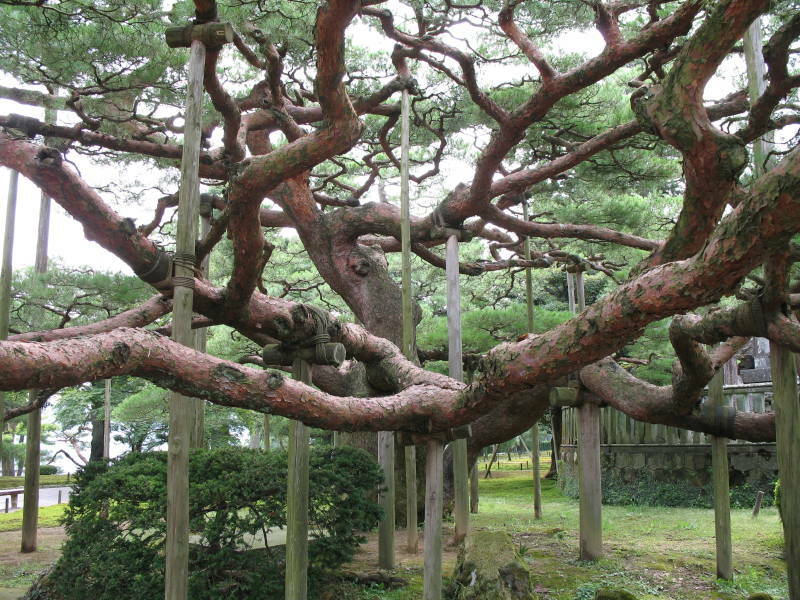 In the old days, most people had to use the side gates; the big gate was for the emperor. I think this lion is in front of the central gate. To the right of the lion you can see a carved ramp of sorts. This is a close view. 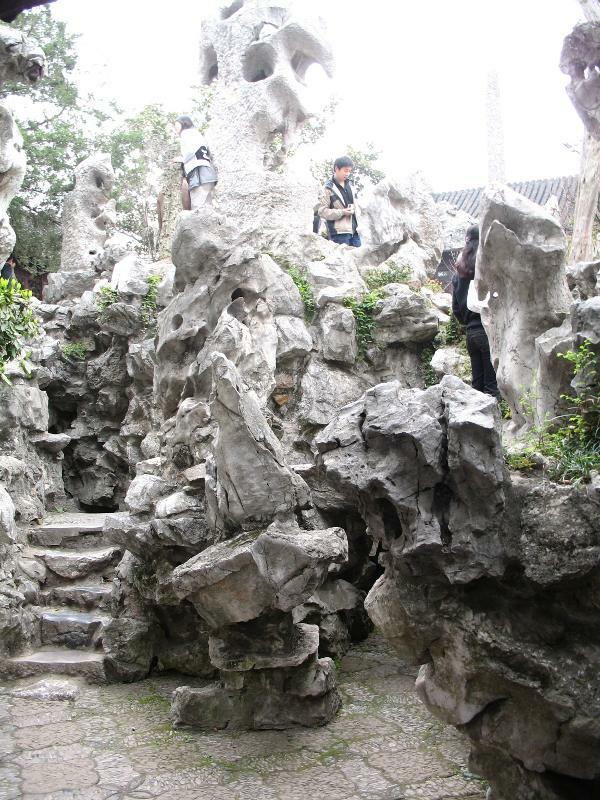 Dragon paths like this climb the center of the stairs that lead to each of the major ceremonial halls and gates. The emperor was carried over them in a litter. Beyond the Gate of Supreme Harmony lies yet another vast courtyard. 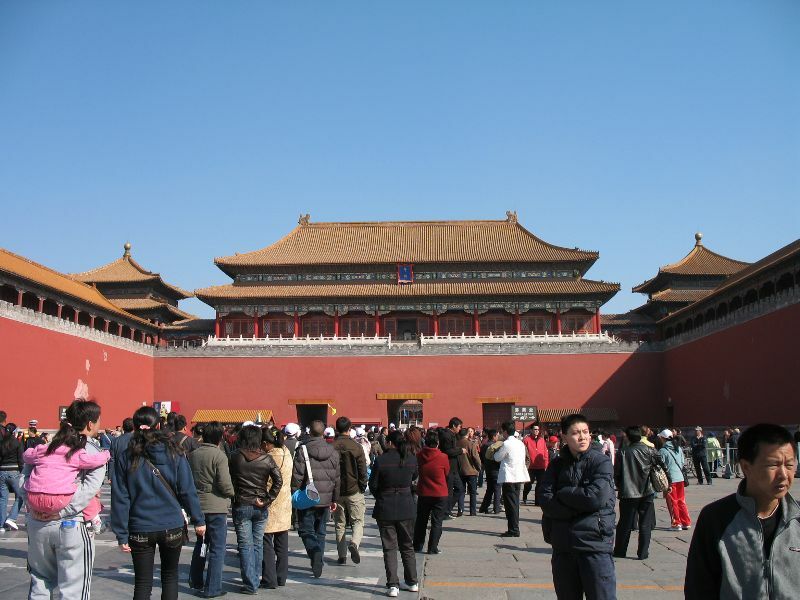 The building at the end of the courtyard is the Hall of Supreme Harmony, the symbolic center of the empire and the largest building in the Forbidden City. 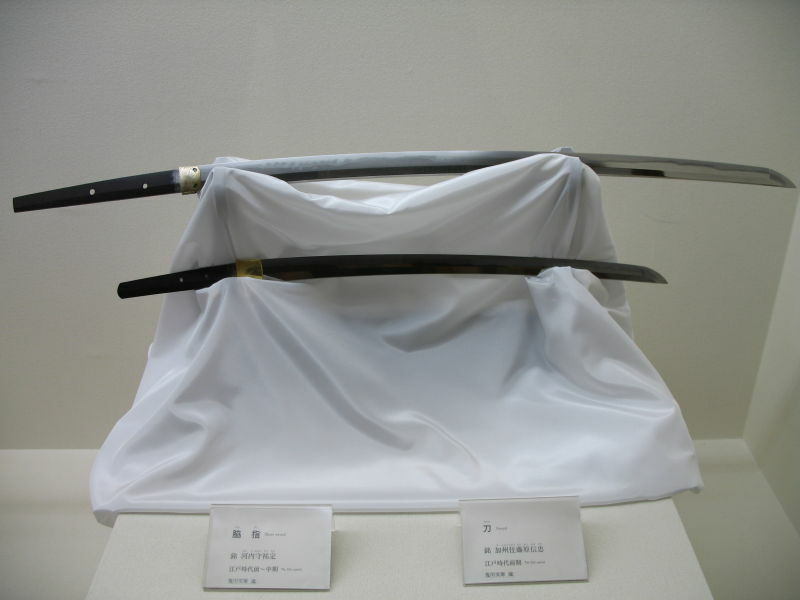 It was used for grand ceremonies of state. Unfortunately, it was being renovated when I was there, so visitors couldn’t enter or even peek inside. Most of the other buildings were open, though, and I went in all that I could. 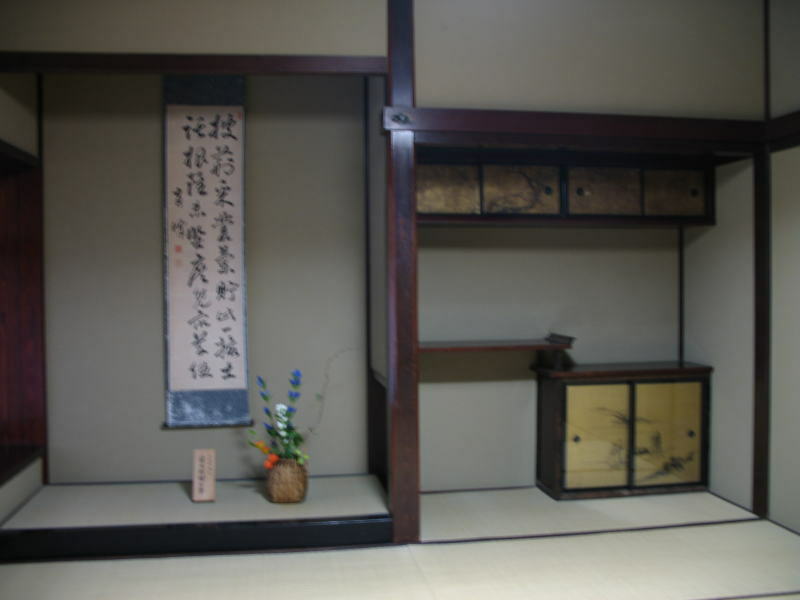 Some of the side halls were displaying palace artifacts. This is a musical instrument. You’ll notice that it’s terribly dusty. The other instruments on show were even worse. 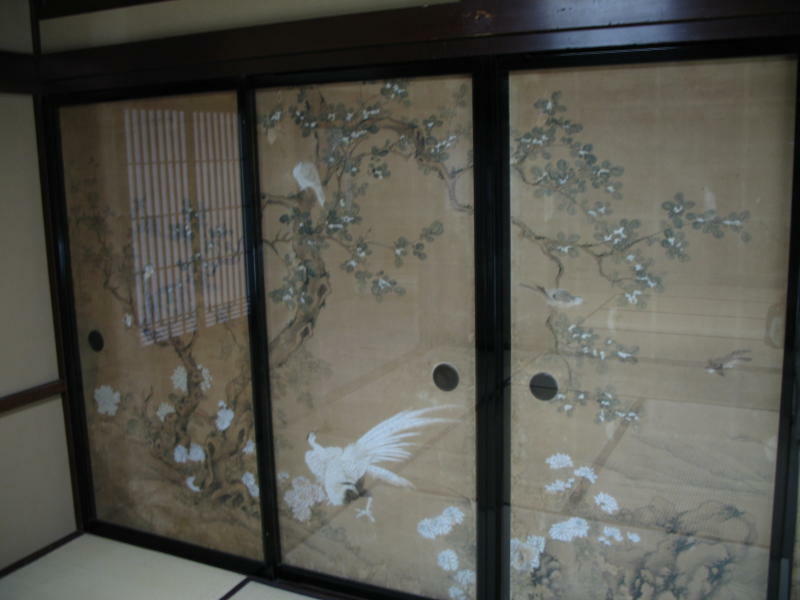 When Japan invaded China in the 1930s, thousands of crates filled with records and art from the Forbidden City were moved elsewhere for safekeeping. 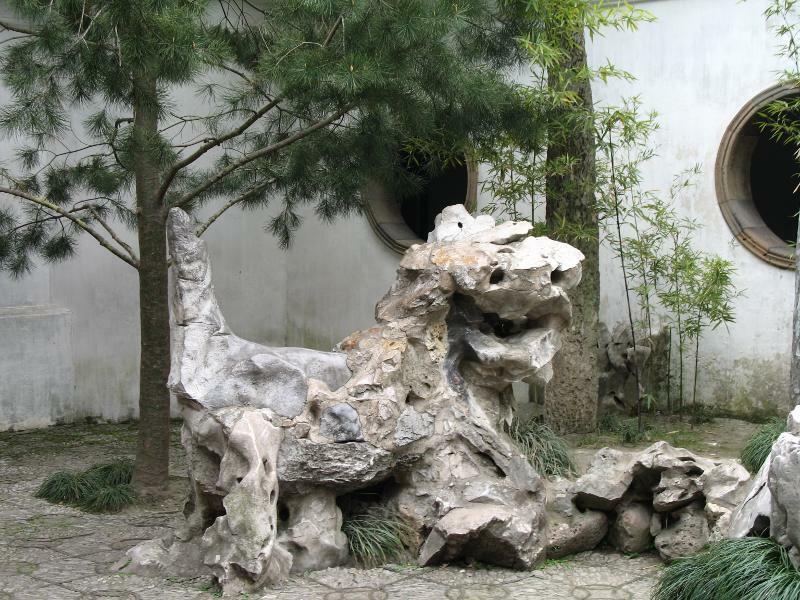 Shortly after the end of World War II, much of the best of that treasure trove ended up in Taiwan and when the government of the Republic of China moved to Taiwan and mainland China became the People’s Republic, that artwork stayed on the island. 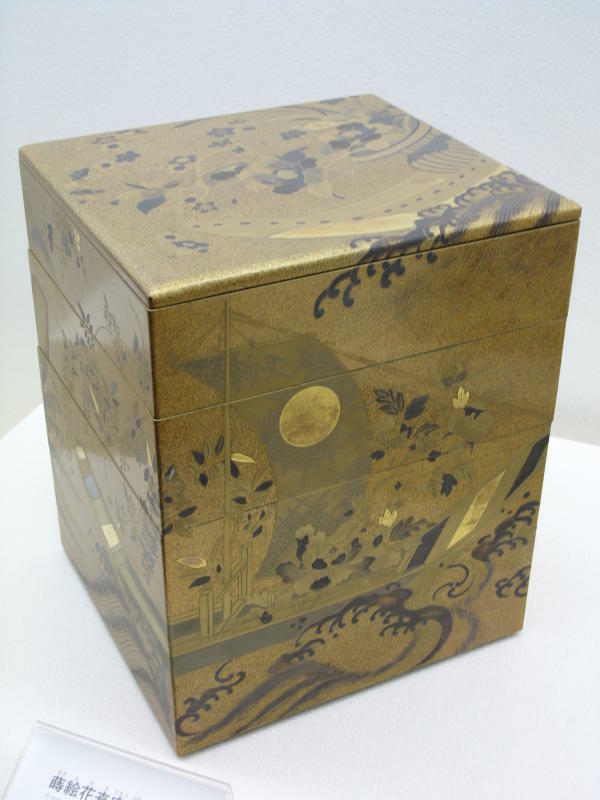 Now it forms the core collection of the National Palace Museum in Taipei. 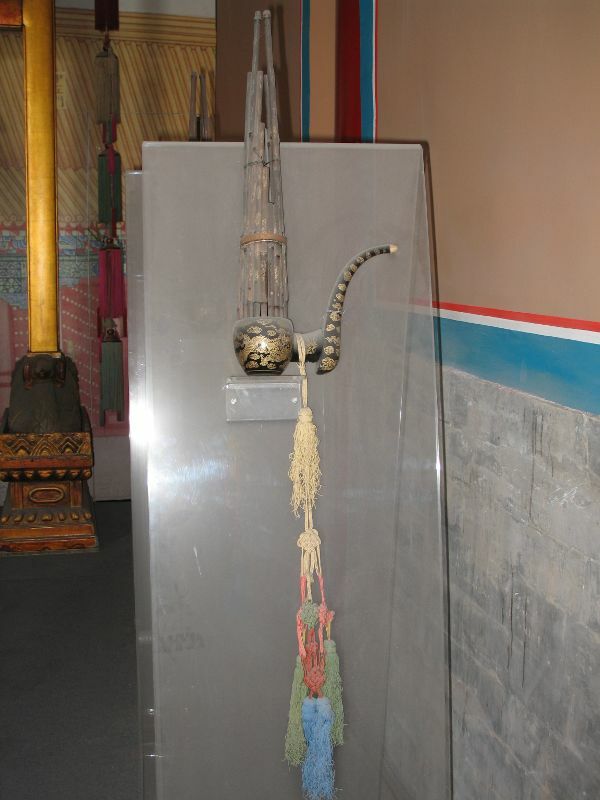 If the Palace Museum in Beijing (ie the Forbidden City) is treating its relics like this, maybe it’s for the best that Taiwan has the good stuff in a proper museum. 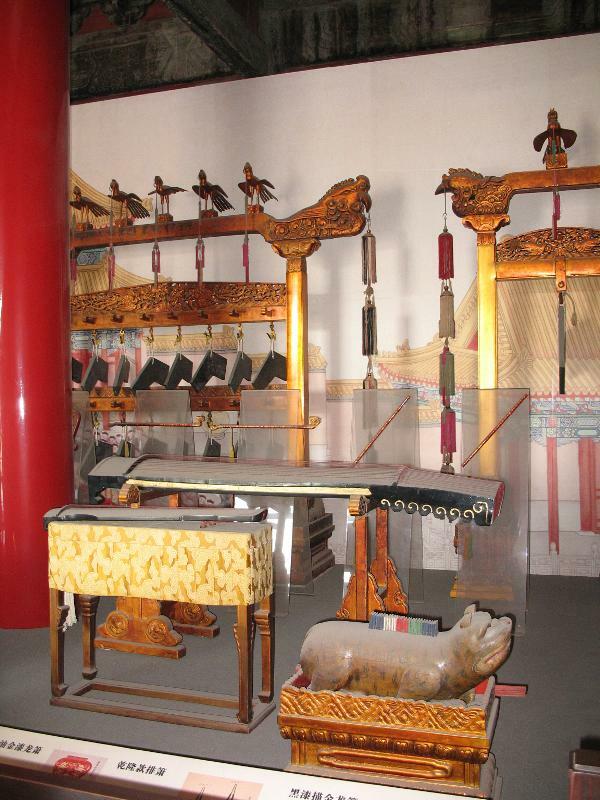 That said, other exhibits at the Forbidden City were treated with appropriate care – the clock collection is quite nice – but the state of this clutch of musical instruments was simply appalling. At least the buildings themselves were being seen to. 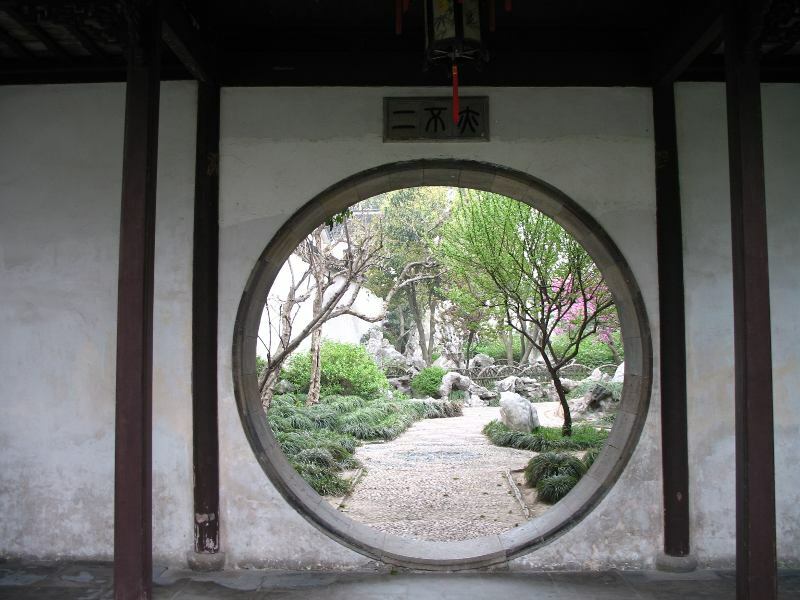 Behind the Hall of Supreme Harmony is the Hall of Central Harmony and then the Hall of Preserving Harmony. These three halls share a stone platform that raises them to roof height compared to the rest of the City. All this “harmony” business in the names was the doing of the Qing dynasty, by the way. 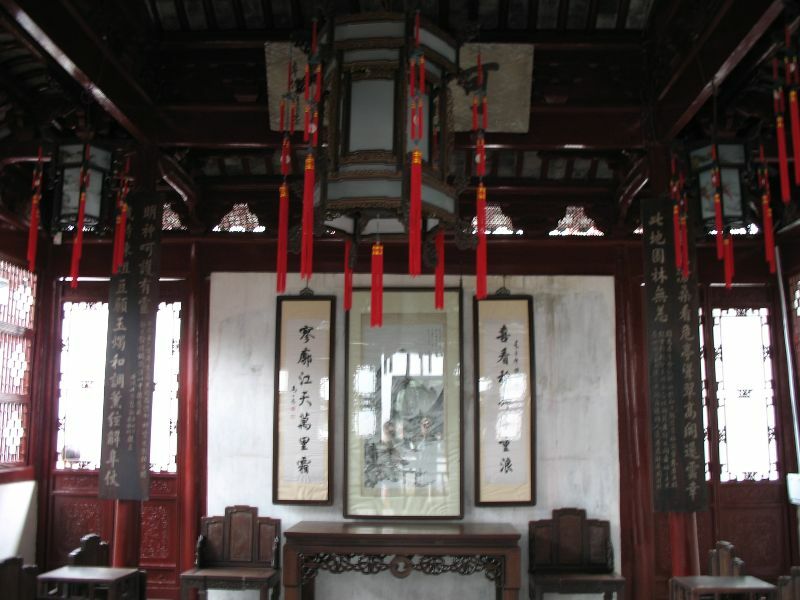 The Qing emperors were Manchu, not Han Chinese, and they not only renamed many of the palace buildings, but also added Manchu translations to most of the name plates. 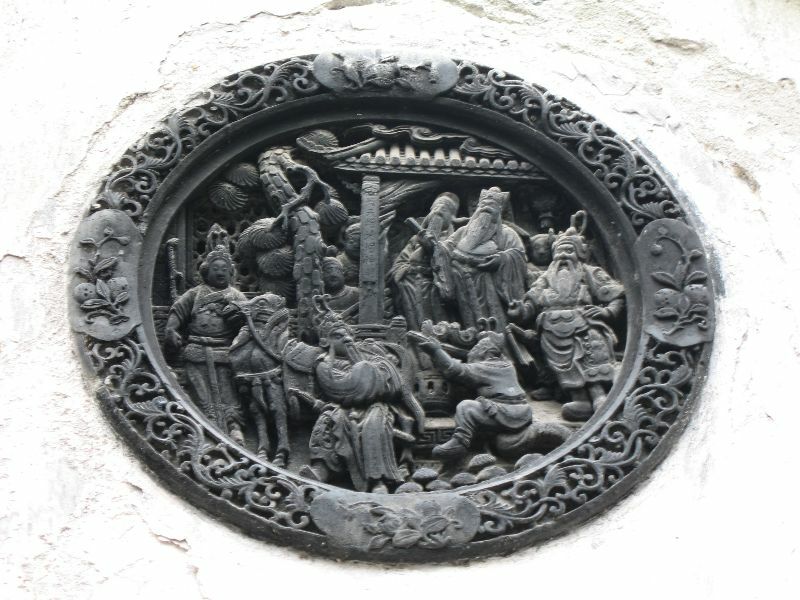 This plate is for the Palace of Heavenly Purity, which is the next building in line north of the Hall of Preserving Harmony, but which belongs to the Inner Court, not the Outer. 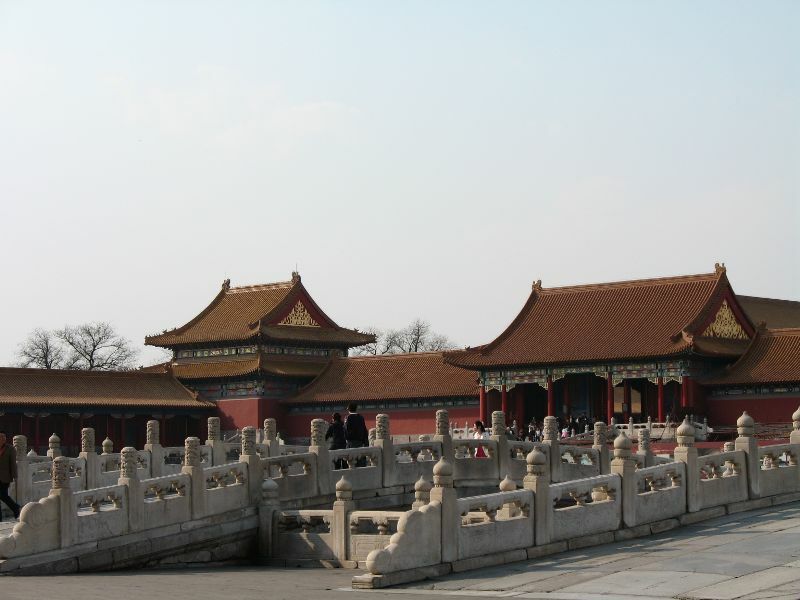 The Outer Court is the southern half of the Forbidden City. 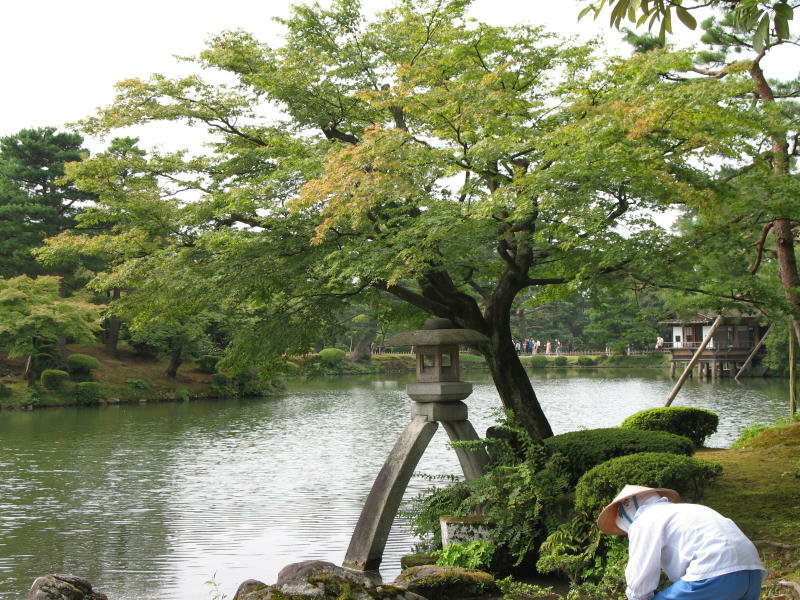 It comprises the formal halls and large plazas where public ceremonies of state were held. 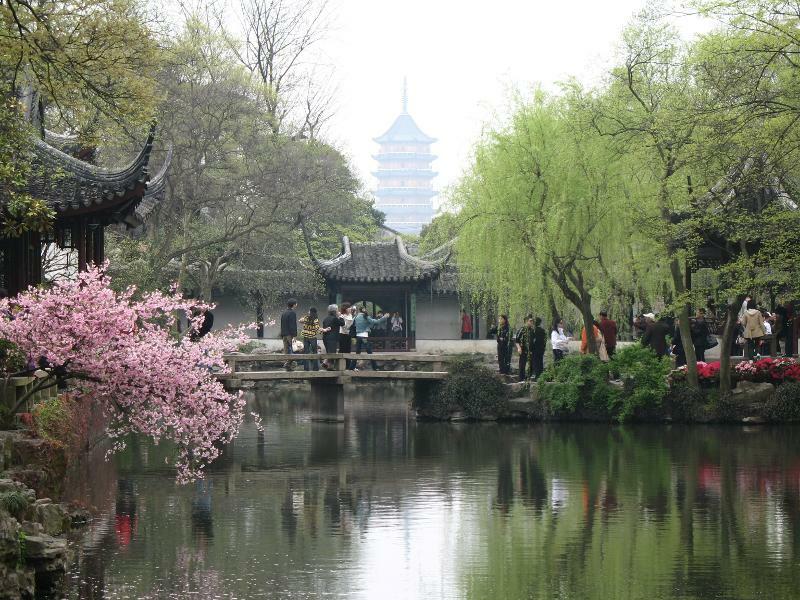 The Inner Court is the dense, northern half of the City, where the imperial family lived and where the emperor conducted most daily affairs. The satellite view from Google Maps lays things out nicely. You can zoom in quite a bit more. Continuing north from the Palace of Heavenly Purity past two more halls leads to the small Imperial Garden. 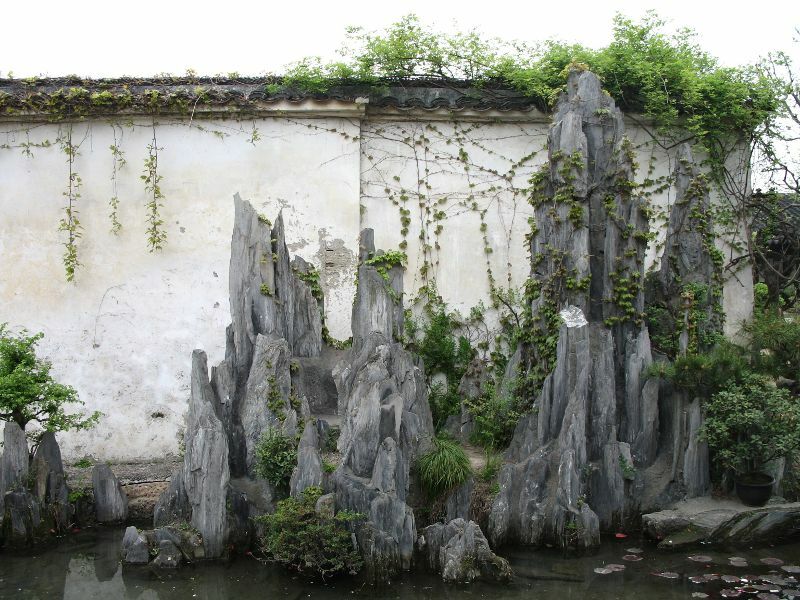 This patch of greenery was very welcome after seeing nothing but stone through most of the Forbidden City, but even the garden is more stone than anything else. I don’t have any good pictures of the inside of the garden, but this is the gate. The gate has a pair of guardian statues that are more charming than imposing. 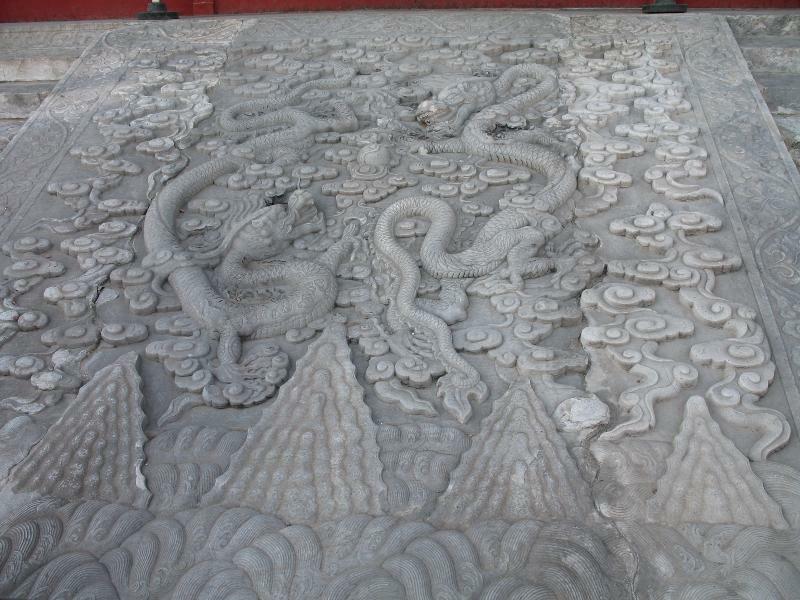 A dragon is on the left. And an elephant is on the right. Living quarters make up most of the rest of the Inner Court. Several buildings in the northeast corner have been converted into museums (or sub-museums, I suppose) with exhibits of bronze, pottery, paintings and so on, plus the clocks I mentioned earlier. 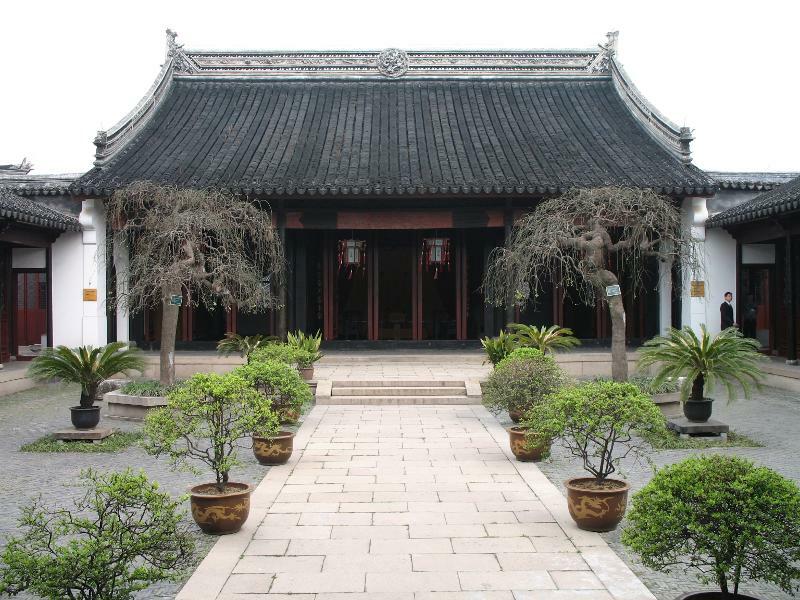 Many of the northwest buildings retain their old furnishings and have information on the infamous Empress Dowager Cixi. There was a certain amount of Communist slant in the presentations on the empress, but she did do a lot to earn her condemnation. My favorite example of her extravagance is one of her more minor offenses: She wore a new pair of silk socks every day, burning them after use. Rounding out the rest of the Forbidden City, the southwest and southeast corners contain the Hall of Military Eminence and the Hall of Literary Glory, respectively. Unfortunately, these sections were closed to the public. That’s all for now. 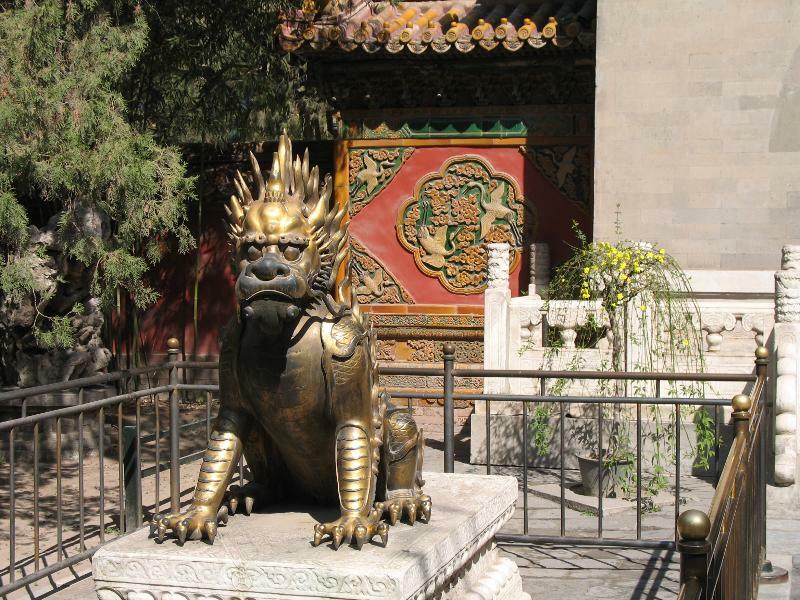 A few more pictures from the Forbidden City and some final impressions of Beijing to come later. Rather abruptly, it’s spring here in Kobe. Temperatures are at least ten degrees higher than last week, birds are chirping, and the non-evergreen plants are showing signs of life again. 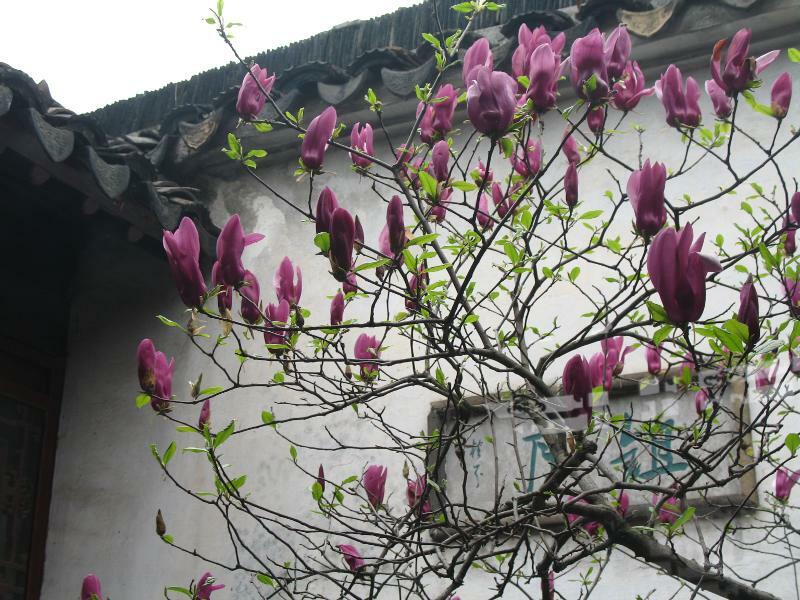 Unfortunately, spring has also brought several days when the air is filled with yellow dust from northwest China. Blah. Last Wednesday was the graduation ceremony at the junior high school. The first and second year students still have a week and a half of classes, though. On the same day, the board of education sent out notice of school placements. I’ll be staying at the same school for my last term. This news is a month old, but I’ll mention it anyway: I passed the level two JLPT. So I have “mastered grammar to a relatively high level, [know] around 1,000 kanji and 6,000 words, and [have] the ability to converse, read, and write about matters of a general nature.” Still can’t read the blasted newspaper without consulting a dictionary every sentence, though. Speaking of old news, the conference at Yokohama two weeks ago was in fact worthwhile. Most of the speakers were former JETs, and it was really interesting to hear them talk about where their lives took them after they left the program. Before and after the conference, I had a little time to explore Yokohama. 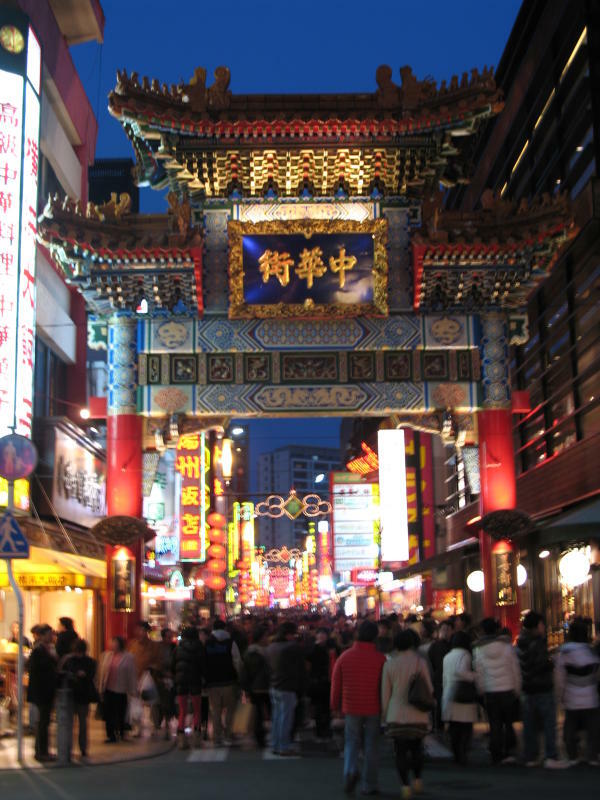 Its Chinatown – Chūkagai, literally “China Street” – is purportedly the largest in Japan. 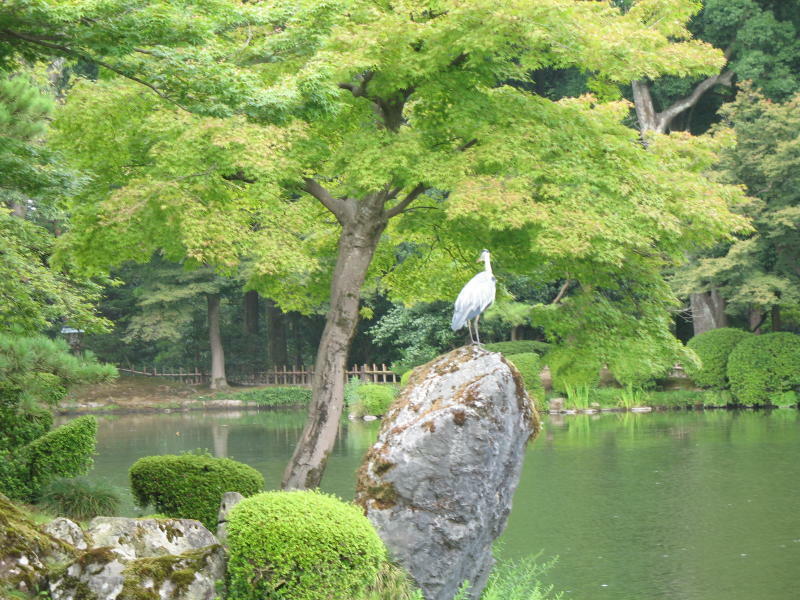 I also visited Sankei-en, a garden built a hundred years ago by a silk tycoon. 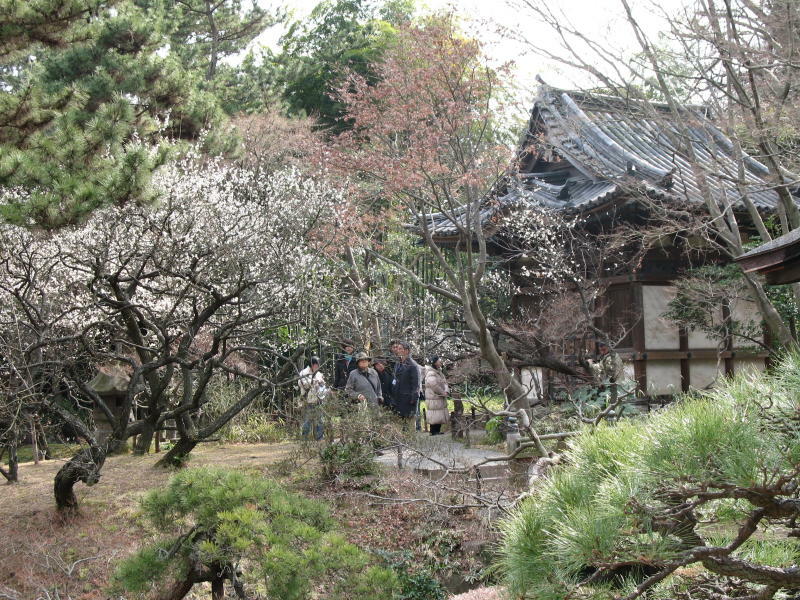 More interesting than the garden itself is that the owner had almost a dozen historic buildings moved to the garden. 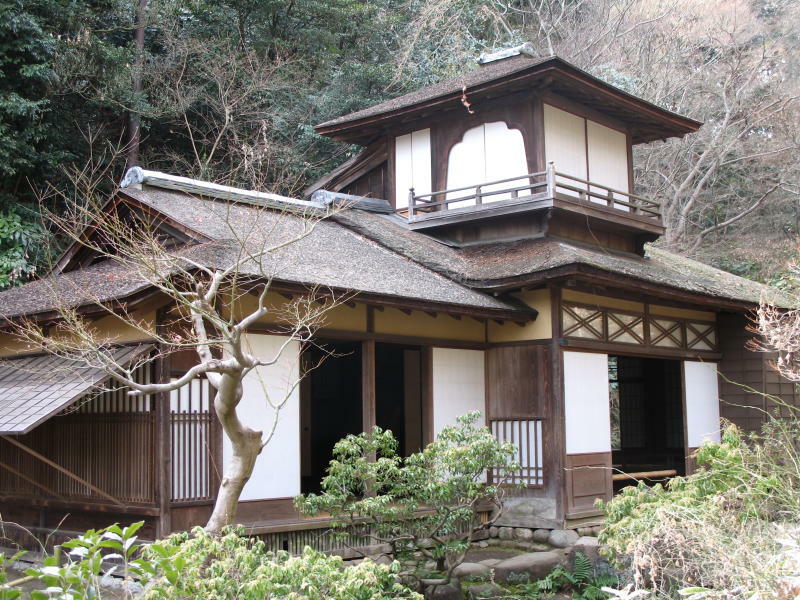 This one – a 1623 construction of unusual design- was taken from the grounds of Ni-jō, the former shogunal castle in Kyoto. 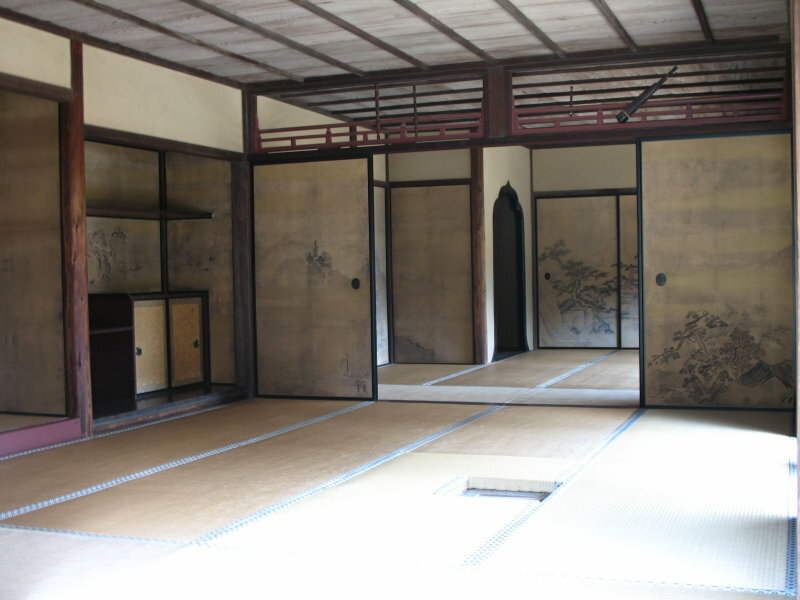 This is inside a villa built in 1649 by relatives of the shogun. 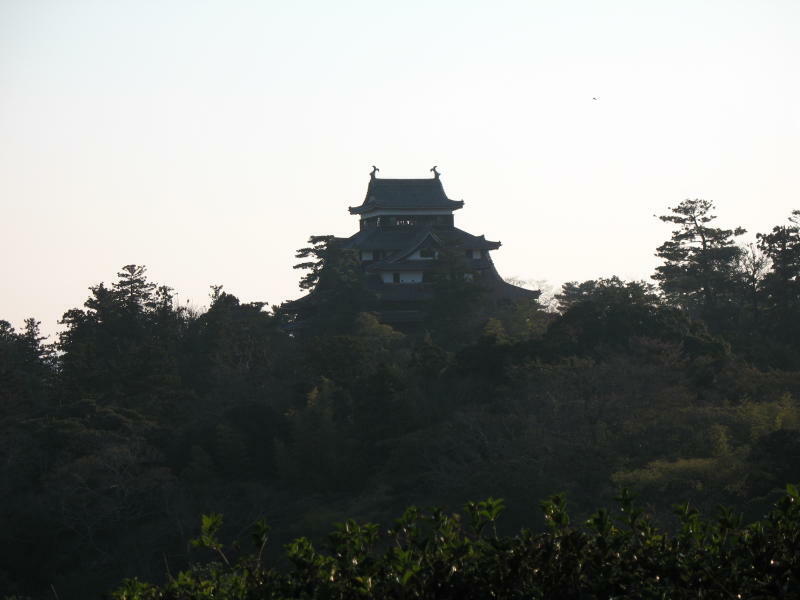 And this isn’t the best picture, but the building shown here was taken from Daitoku-ji. 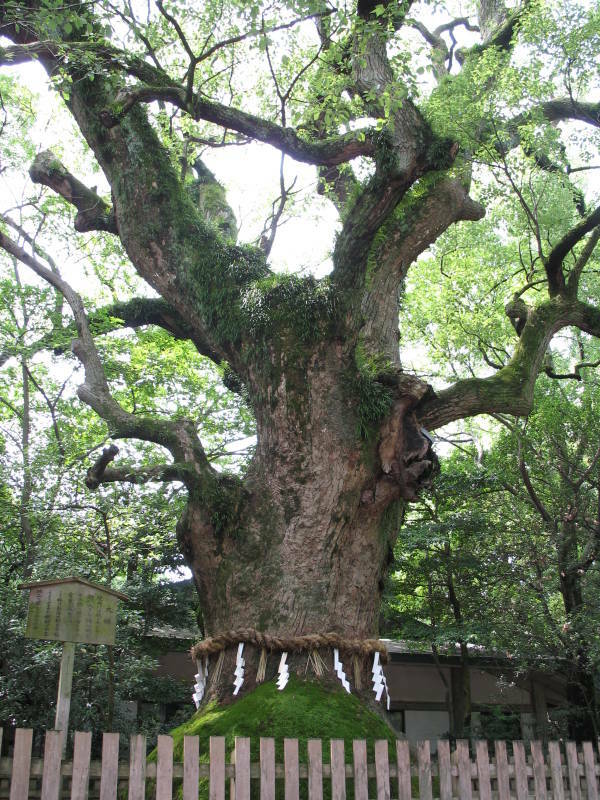 It was built in 1591 by Toyotomi Hideyoshi to celebrate the long life of his mother. 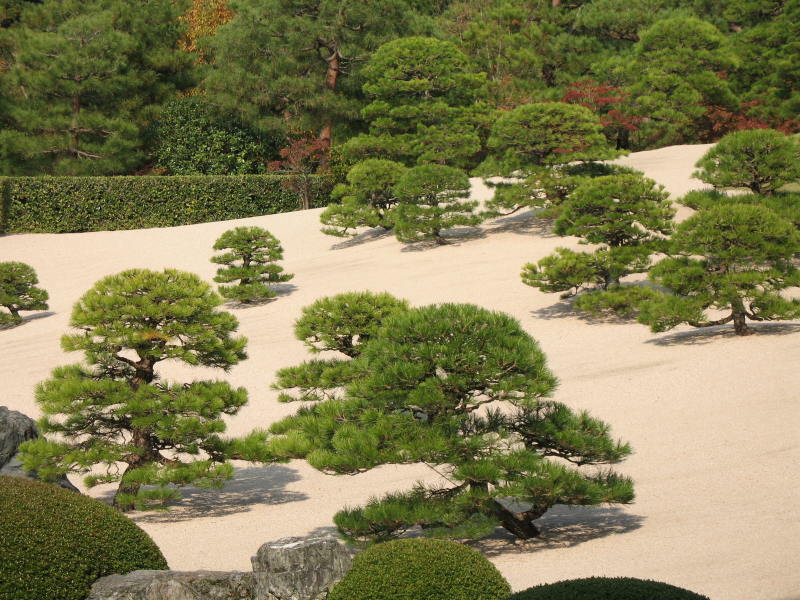 Hideyoshi unified Japan at the end of the Warring States period and led invasions of Korea in the 1590s. 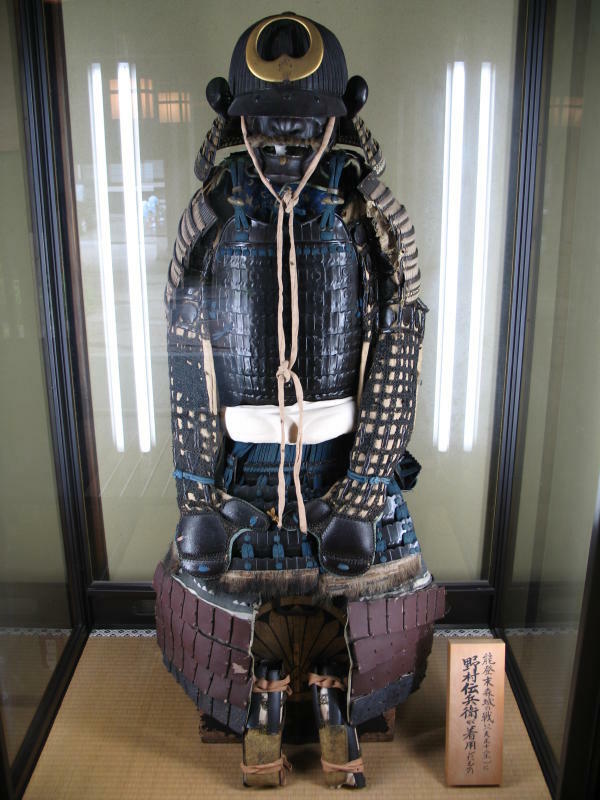 He died in 1598, and as the country started to fall apart again, Tokugawa Ieyasu took control and established stable rule with the Tokugawa Shogunate.